is a revolutionary process that repairs damaged hair, leaving it soft, shiny, frizz-free, and smooth for up to 5 months. NOT ALL KERATIN TREATMENTS PERFORM THE SAME. ●Consistent Results: From one treatment to the next, Marcia Teixeira® Keratin Treatments deliver frizz-free, soft, shiny, and manageable hair. They can be used on any type of hair to reduce curl and frizz, while enhancing shine and softness. ●Longevity: Results last up to 5 months, depending upon treatment formula used. ●Safety: The Company is dedicated and committed to clear and open communication to ensure product safety, education, and client service. ●Education: In order to offer any of our professional only treatments, Marcia Teixeira® requires that stylists complete a hands-on education program. ●Quick: Achieve an amazing transformation in only 1.5 to 2.5 hours depending upon the length and texture of the hair. ●Affordable: Clients can have silky, smooth hair at a reasonable price, while receiving a luxury service from their trusted stylists and salons. ●Universal: All varieties of Marcia Teixeira® Keratin Treatments can be used safely and effectively on all types of hair, from color treated and/or highlighted to natural, virgin hair. ●Gentle and Natural: Results of all Marcia Teixeira® Keratin Treatments are temporary, lasting from 6 weeks to 5 months, depending upon which of our 5 formulas is used. We do not use harsh, high pH chemicals that must be carefully timed and neutralized to avoid damage, resulting in permanent and irreversible results. ●Repair and Protect: Marcia Teixeira® Keratin Treatments repair the hair from within and coat the hair on the outside to protect from new damage, leaving the hair soft, shiny, frizz-free and smooth. ●Amazing: The results speak for themselves. You’ll be so happy you won’t need your therapist anymore! Keratin is the main structure building protein in our hair and nails. This protein contains many different amino acids and is responsible for making hair super tough and extremely elastic. 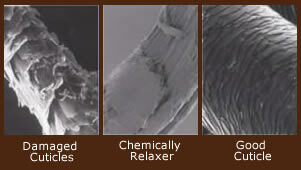 Keratin’s durability and strength to protect are the secrets that improve hair both inside and out. Keratin and other amino acids (proteins) fill in the gaps between the layers of the cuticle, eliminating frizz and weighing down the hair shaft to smooth out waves or curls.